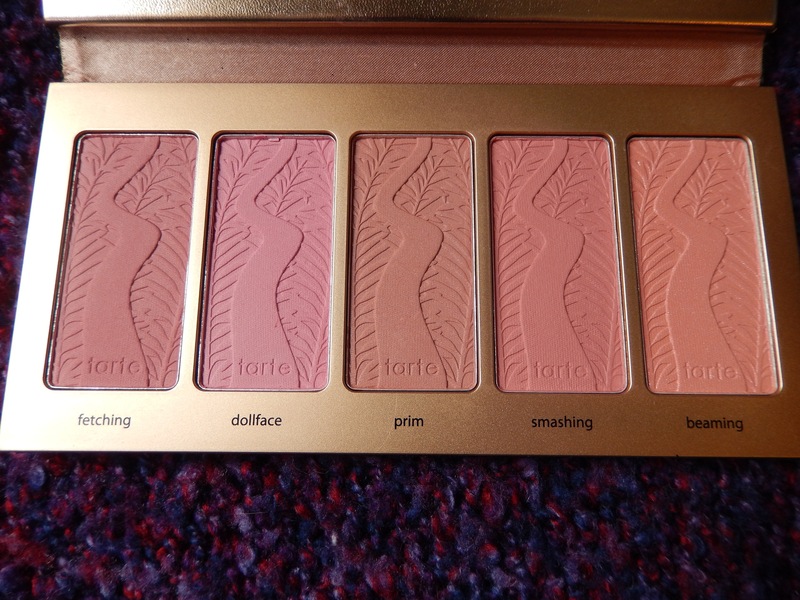 Tarte Bling It On Blush Palette Review! I hope your Sunday has been nice and relaxing so far! My house smells amazing right now, because my mom is making a lovely Sunday roast, which I’m pumped to eat! I’m sure all of you have noticed the Holiday sets are being released (which is honestly getting me very excited for Christmas!) So, last time I was in Sephora I was oo-ing and ahh-ing at all the beautiful sets, but this one from Tarte really caught my eye, so obviously I had to bring it home. I’ve never really tried Tarte products out before, and while a lot of their kits for holiday are stunning, their “Bling It On” Amazonian Clay blush set ($53) called my name! 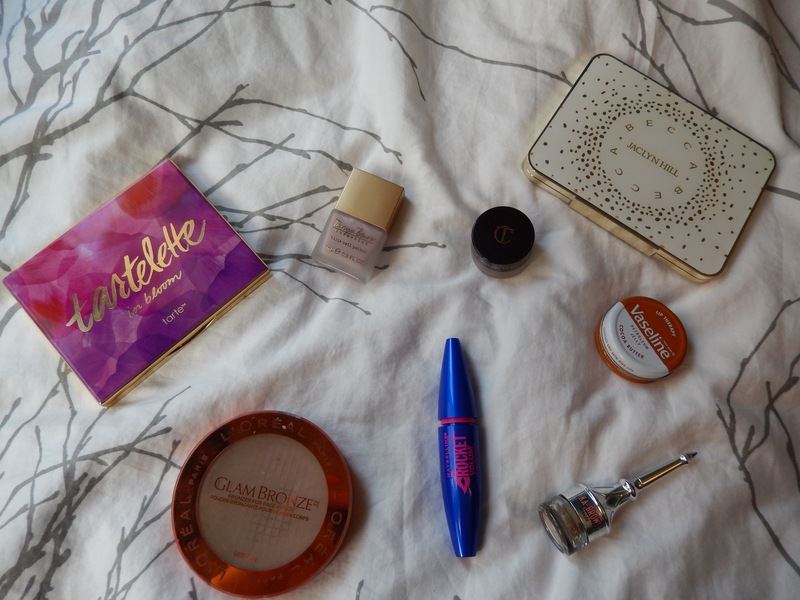 This palette has really cute black glitter packaging on the outside, and this gorgeous rose gold to line the blushes; I also like that you get such a large mirror with this baby. 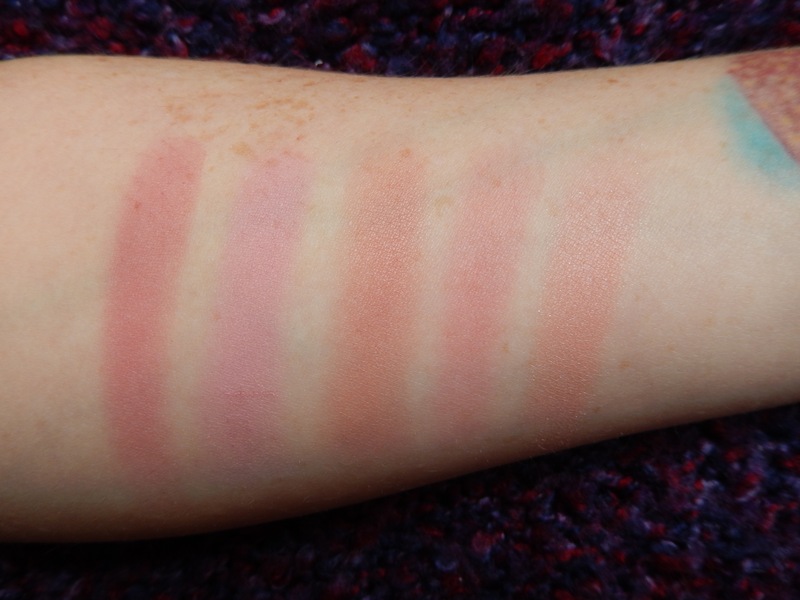 I’ve heard amazing things about the amazonian clay blushes, and they were absolutely right. These five colours wear all day long, they’re not streaky or chalky at all, and the pigmentation is incredible. You get five shades in the palette, 4 are matte and one has a bit of glitter in it, which is nice for the holiday season, because you really can’t have enough glitter. 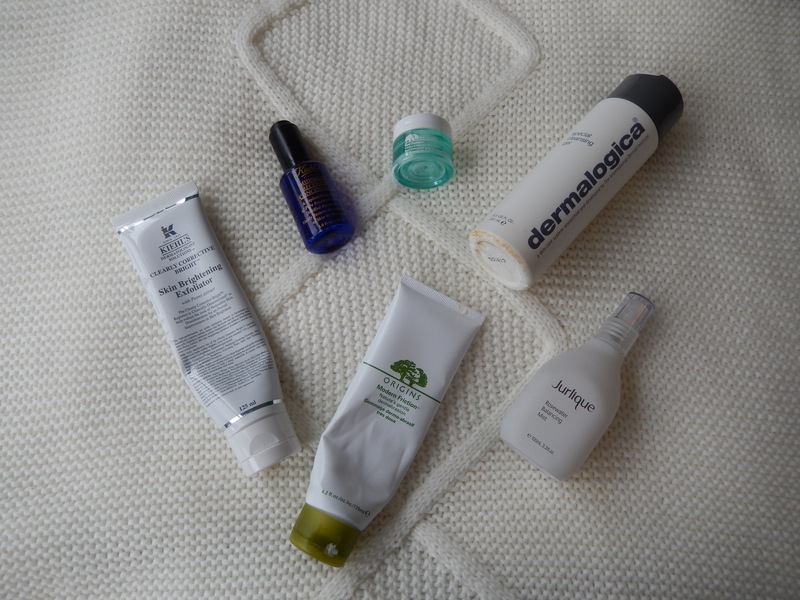 I’ve tried all of these, and literally cannot say enough good things, each one adds a healthy and pretty flush to your cheeks. 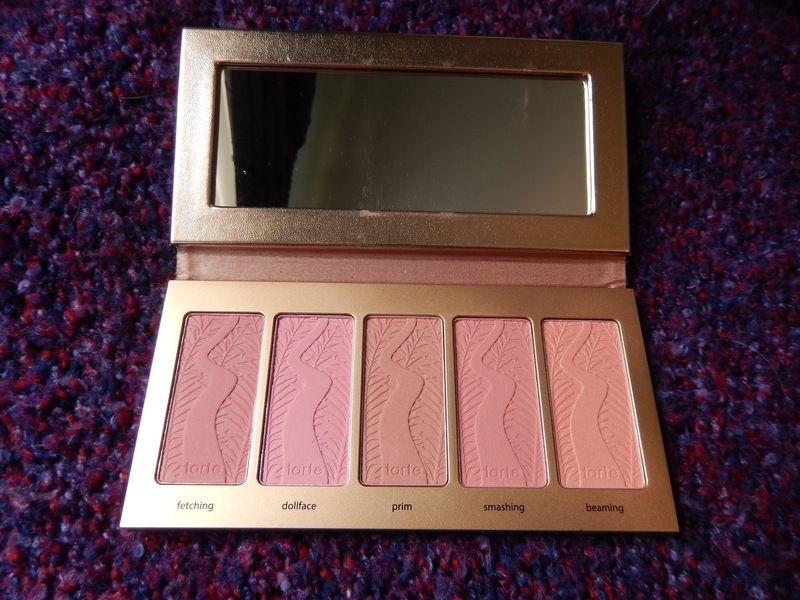 This palette has all the blush shades you could possibly want or need, and they would suit any skin tone. 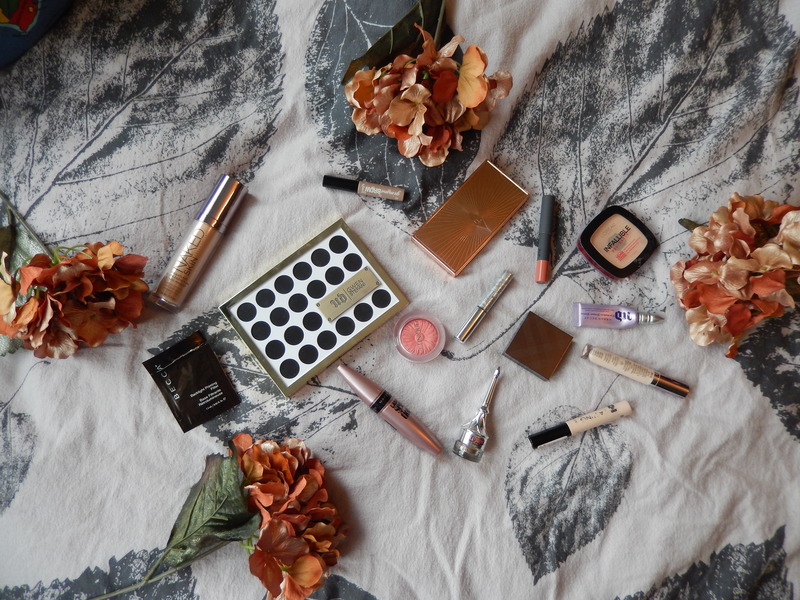 The deeper shades are great for fall winter, and the lighter shades are gorgeous for spring and summer! Not to mention this is great value for money, considering one of these is $34 and the whole palette is $53! If you can manage to get your hands on this I would 100% recommend picking this up!